On the hunt for the perfect self tanner to use on your face? Avoid the dreaded orange glow and find the answer right here. We know that a self tanner is an absolute necessity for a stunning glow, but here are a few self tanning tricks to help with the process. If you haven’t noticed by now, contouring is all the rage. Here’s how and where to apply self tanner to create a banging contoured body in no time! A great self tan makes you more confident and gives you an overall beautiful, sun kissed glow. But how can you extend self tanner as long as possible? 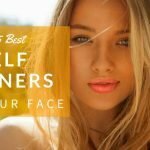 How To Brighten Up Dull Skin With Self Tanners! 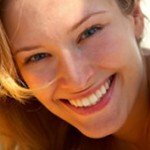 Dull, lifeless skin got you down? Find out how self tanners can be the ultimate way to brighten dull skin!